Test Kitchen Showdown: Which Lunch Box Food Storage System is Right for Your Family? 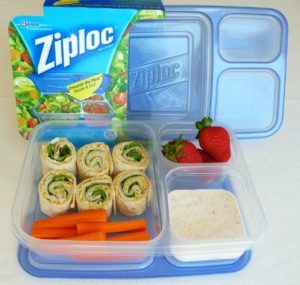 Packing a lunch that’s healthy, and holds up by the time your kids are ready to eat it, doesn’t have to be a challenge. There are so many great products on the market that provide a safe, efficient and eco-friendly way to make healthy lunch-packing fun! 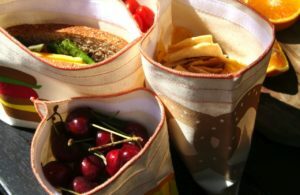 Below are just a few of the reusable lunch storage systems that I’ve tried with my personal opinions about their benefits and drawbacks. So if you’ve been searching for the right lunch storage system for your family, I hope this helps make it a bit easier. Why reusable? I admit that there are times I do use disposable baggies, plastic wrap and the like, but I believe it’s important to do our part in being good stewards. And the great thing is, reusable lunch containers not only accomplish this goal, but are also much better for keeping your family’s food fresh and delicious! Again, there’s lot of options out there – some more eco-friendly and easier-to-use than others. Just remember to look for reusable food storage products that are BPA free and preferably dishwasher and freezer safe. Additionally, lunch boxes, totes and bags should also be free of harmful toxins, as well as easy to clean, either in the sink or via the washing machine. And before you purchase a lunch box system, it’s super important to be sure it’s the right fit for your child! As my friend Laura at MOMables points out, many schools require that children be able to open their own lunch containers. So depending on your child’s age, some of the systems I’ve commented on, as well as others out there, may be more difficult for little hands to open and close properly. P.S. I’ve got a fun way to say I Love You! 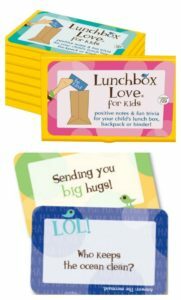 These little Lunchbox Love Notes are absolutely precious, and are such a heartfelt way to let your kids know how much you love and care about them. Whether you have preschoolers, elementary age kids or teens, SayPlease.com has an amazing line of “love notes” for kids of all ages, even adults. The notes include an inspiring message along with cool trivia and funny jokes. I love putting these thoughtful little notes into my boys’ lunchboxes, because I know it makes them feel loved and special! This test kitchen showdown isn’t so much of a battle, as it is a *review of some of the popular lunch food storage systems on the market. As mentioned, each of the products reviewed below are ones that my family has personally used. I’ve outlined my thoughts and experiences with each of these systems in an effort to help you better determine which system(s) might work best for your family’s needs. And if you’d like to share your thoughts about these, or other reusable lunch storage systems, please do in the comments below. Please note: Some of the links in this post are affiliate links. If you opt to purchase via a link from this site, The Nourishing Home will receive a small percentage of the sale at no additional cost to you. Funds provided to The Nourishing Home help to support the costs associated with operating this site/ministry. Of course, you are never obligated to make a purchase, but if you do, please know your support is much appreciated! Thank you! 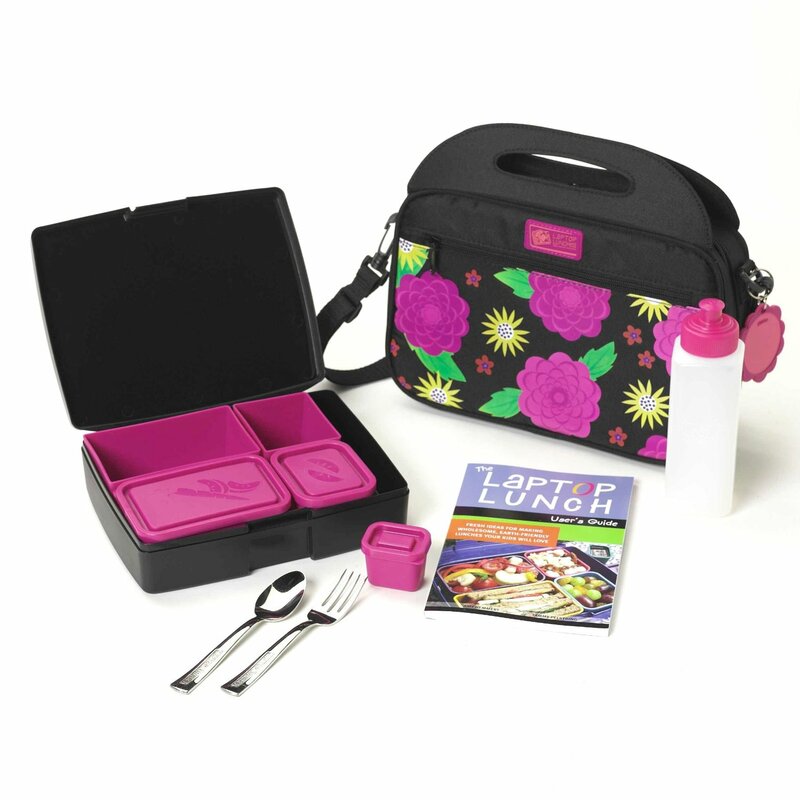 Overview: Laptop Lunches provides a variety of safe, efficient and fun Bento-Ware options for packing healthy lunches. The Bento Lunch Box requires a special tote (or an equivalent style tote) in order to fit the system. However, Bento Buddies can be used in virtually any lunch box/bag. Benefits: All of their products are made in the USA from recycled products, and are free of lead, BPA and phthalates/PVC. Their lunch totes are machine washable and their storage containers are dishwasher/freezer safe. And, their containers are leak-proof when properly sealed – an important feature when packing liquid ingredients such as yogurt, dips and condiments. In addition, if you opt for their lunch box/kit, the box and tote are specially designed to keep all of the containers in place – creating less opportunity for mess or a dismantled lunch. Drawbacks: The only potential drawback may be the price. However, we’ve owned and used our Bento Lunch Boxes and Bento-Ware Containers for several years now and they’re still just as reliable, as the day they arrived. So the quality of these highly durable products is excellent and over time they do pay for themselves by saving you from the expense and waste associated with disposable food storage products. Overview: Relatively new on the market, this system provides the convenience of individual storage containers with the added benefit of a unique locking system that keeps them all in place. 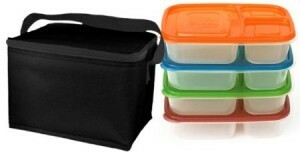 Benefits: Rubbermaid’s LunchBlox containers can be purchased individually or in kits. The LunchBox Sandwich and Salad Kits come with a custom-designed ice pack that works specifically with the system. The containers are BPA free and dishwasher/freezer safe. They’re also leak-proof when properly sealed – an important feature when packing liquid ingredients such as yogurt, dips and condiments. In addition, LunchBlox containers have a uniquely designed locking system that allows the flexibility of multiple configurations to keep the containers securely in place – creating less opportunity for mess or a dismantled lunch. Drawbacks: The LunchBlox kits and accompanying ice pack are designed to lock to together and if used as such, may not fit some lunch box styles. However, there are many square-style lunch bags on the market that will work with this system. And of course, Rubbermaid provides a custom LunchBlox Lunch Bag that is free of PVC, BPA and lead, and is specifically designed to work with their lunch kit/ice pack systems. 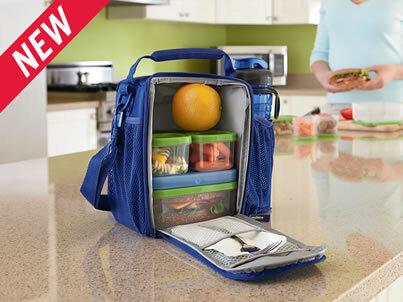 Overview: The EasyLunchbox System comes with four 3-compartment bento-style containers and a coordinating insulated cooler bag is also available separately. Benefits: All of EasyLunchboxes products are free of lead, BPA and phthalates/PVC. Their lunch totes are machine washable and their storage containers are dishwasher/freezer safe. The containers are designed to be stackable for easy storage in the frig and they also conveniently nest for space-saving storage, when not in use. EasyLunchboxes containers are much more durable than the typical reusable containers sold in department and grocery stores, which is just one reason why they’re one of the most popular bento-style containers on the market. Overview: Ziplock’s divided rectangle kit comes in a set of two 3-compartment bento-style containers that are designed with a special lid-locking system that helps to keep food in its place. Benefits: Ziplock’s containers are readily available at most major department and grocery stores. They’re BPA free, as well as freezer and dishwasher safe (although, I recommend hand washing so they’ll last a bit longer). Additionally, due to the lid’s special locking technology, the individual compartments are leak-proof when properly sealed – an important feature when packing liquid ingredients such as yogurt, dips and condiments. Drawbacks: As with most fixed storage designs, there isn’t a lot of flexibility. You’re limited to just three compartments, which may result in the need for additional types of containers, if you’re packing larger or multiple side-dish lunches. The large rectangular size of this container requires finding just the right size tote. In addition, durability in my opinion is low, and with consistent use, as well as dishwasher exposure, these containers need to be replaced more frequently than other high durability products. So the lower price may not really be worth it if you’re having to constantly replace them. *Please note: This is a completely unbiased review. I did not receive free or discounted product or compensation from any brand mentioned. This post represents my personal opinion after using these products. Your opinion may vary, so I encourage you to decide for yourself which product(s) you prefer. Also note: Most of these brands sell their products via their websites and through other retailers and online sources. Although this post does contain some affiliate links, I always recommend shopping around to find the best price. Wishing you a very blessed back-to-school season! Shopping for lunch boxes can be a tideous processes because there are so many options out there. With all lunch boxes, it’s important a parent buys them with the child present at the store. Many schools send notes that specifically say that the child must be able to open up his/her container on their own. That said, make sure your child is able to do it so you don’t waste your money. LaptopLunches: Although they are a bit pricey, they are durable and high quality. If you are a pack-ahead lunch packer like me, having more than a few of them in your container arsenal can be expensive. My 6 year old has trouble opening the lids and i’ve had some leaks from her not being able to seal them after lunch (and her not finishing the food). Rubbermaid Lunchbox kits: I just bought these to test them out in our MOMables kitchen and so far the younger kids are having trouble opening the smaller snack containers (in the sandwich kit). my kids lunch bag is not “tall” so it doesn’t fit but i fin that the interlocking icepack is a fantastic idea. EasyLunchBoxes: these are my go-to containers for packing ahead. They are super affordable so i am able to have four sets in my house for all of us (I pack 2 adults 2 kids daily). I love that I can color code lunches (Sofia is orange, alex is blue, I am red, Eric is green) so everyone has the right lunch in their bag. sealing liquid items (such as yogurt or dip) can be tricky but if I am sending a cold item, i typically send it in a thermos. The biggest drawback is that they don’t Click’ closed but they do stay closed (if that makes sense). I have my first set from 2 years ago and it works great. the manufacturer suggests carrying it upright (in case you over pack). if you use their bag (Also inexpensive) you can throw an ice pack and the drink all inside the cooler (we have those in different colors too). Ziplock Divided Container: Like all things ziplock they are meant to be a “disposable” product. don’t even think about putting tomato sauce or heating up foods in there. it will stain. In our test kitchen, both warped in the dishwasher after our 3 and 6th wash and drying cycle… so if you wan to use them for an extended period of time i suggest hand washing. the biggest pro is that they are affordable. VERY. i am not very keen on buying low quality containers because that means that I have to buy more and dispose of the old ones (even if they are recyclable). 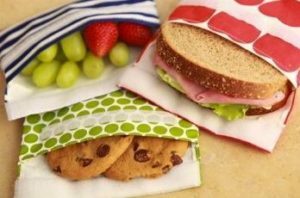 Reusable lunch baggies: I love both of these products! I have a dozen different ones. Make sure you don’t dry them in the dryer and wash them inside out with the velcro attached (other wise velcro hooks to other garments). 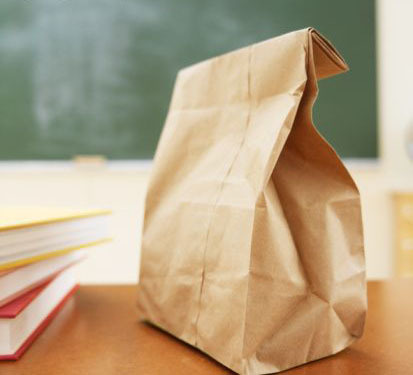 you should have a sturdier lunch bag because unlike containers, food can get squished or crumbled in there. if you are a sandwich and grapes type of packer these are perfect. Our favorite is the planetbox! We love the PlanetBox, too – a little pricey, but good quality! My kids love Lunch Bots. You can get several varieties as far as the dividers. I like the fact that they’re stainless steel. I know the plastics reviewed here are BPA free but I wonder what replaced it that may not be any better. I still prefer to use stainless steel and/or glass. There is a stainless steel system called Tiffins. That might be something to check out. I found your review to be very informative! All content (recipes, photos, posts, etc.) 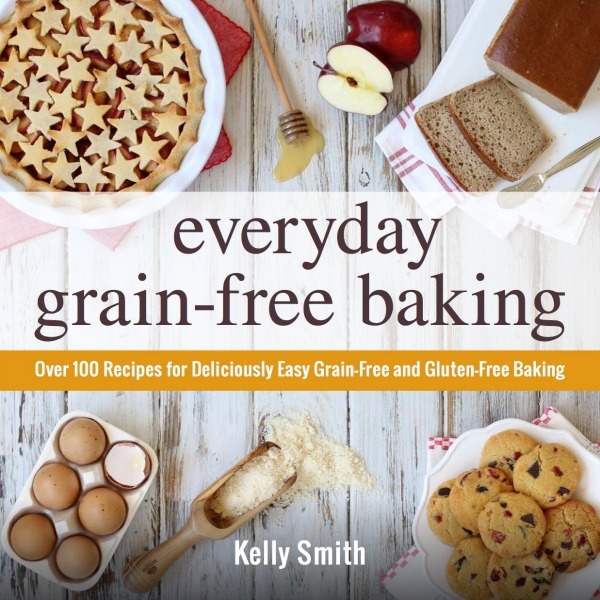 on this site is the creative property of Kelly Smith. You are welcome to share a photo via social media, as long as it contains a link back to the corresponding recipe or post from this site. However, you may not republish a recipe in its entirety in any form. For questions, or for permission to use a photo or recipe, please contact me via email at TheNourishingH[email protected] Thank you!